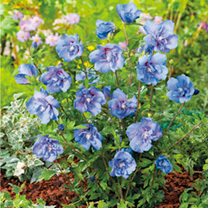 A deciduous upright shrub producing large double blue flowers that have a swirl of smaller petal in the centre. 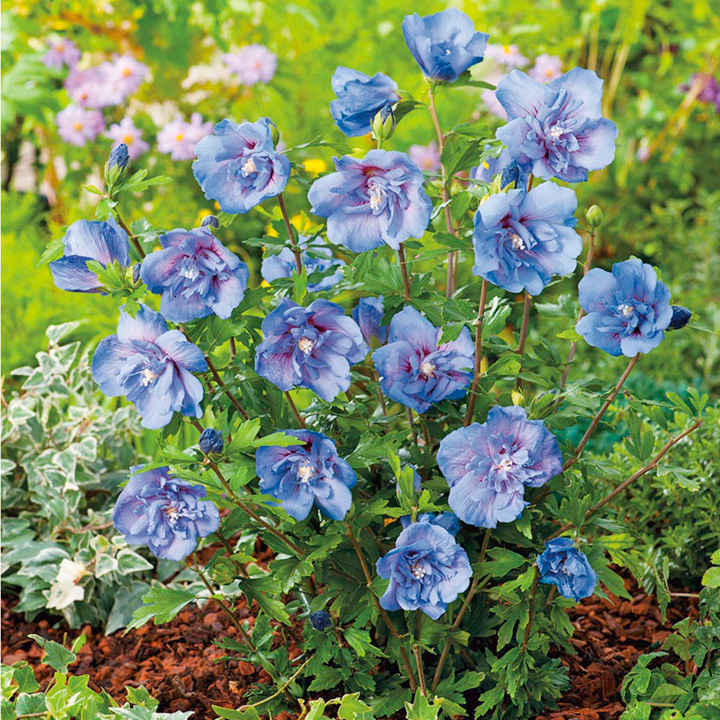 Flowering from August to October, hibiscus Blue Chiffon is perfect for the back of a sunny border. Height 120-200cm. Plant height 60-90cm, supplied in a 3 litre pot.